For making Skype Video Calls you need to have the front camera active while on call so that you can see the other person talking to you as well, but recently we have many Android users including the recently released Xiaomi Mi3 users who are complaining that the front camera is not working or showing black screen while making a call in Skype. Many users have asked us about any tricks which can help solve or fix this problem in android smartphones and tablets and in Xiaomi Mi 3 which runs on XIUI user interface also. This is the simplest of the tricks which was found to be working perfectly for many users of Android devices as well as Xiaomi Mi 3 users. Now you have to launch your Skype Application once again and now try making a call which should now starting working with you and the opposite caller being able to see you. 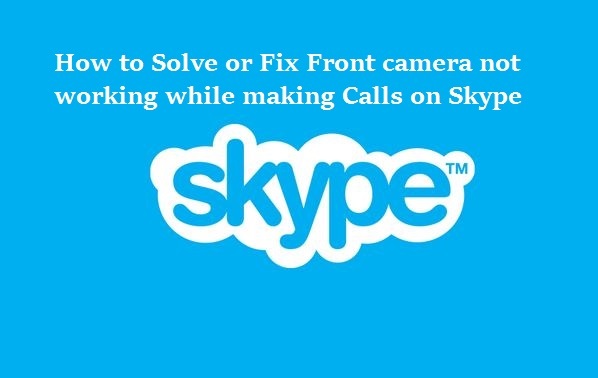 If you are still facing the issue of a black screen or your front cam not working while making skype video call follow the next tutorial which we are going to show. If you are not able to get the Skype calling option then you have to download this application from Android Play store which will turn your Smartphone camera into a webcam and will solve the issue. Download and install IP Webcam application from Google Play Store. With the application you have to enter the Login, password, FPS, image quality, image size and TCP port. All these settings can be used to help tweak settings of the Video call which will trun your smartphones front and rear camera as a webcam. Once you have entered the details you will be getting an IP address which can be used as an webcam for video calling with Skype. front camera is not opening.option is not available . MI3 protective screen guard has to be torn off before use. It is causing most of the screen going blank on making calls, Skype calls etc. If you buy a new screen guard, make sure it is designed for this model, with proper cuts on the top portion so that proximity sensors are not blocked. hi! Where can I find the stock camera application? Is it available in tablets? I have an Asus Fonepad 8 and when I use skype video call, the front camera won’t work. How can I fix it? Are there any more options aside from the ones you posted? It was working fine at first but when skype was updated, it went haywire. Please help. Camera App worked for me as well. Thanks !